Some years ago, when I was testing my writing wings, I forced myself to take a leap of faith. 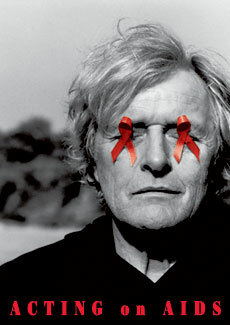 A long time fan of actor Rutger Hauer, I came across a short story contest he was hosting on his website, with the ultimate goal of publishing an anthology to benefit his HIV-Aids awareness charity. While my entry, an early version of my new novella AFTERSHOCK, was not selected for the anthology, it was selected by Rutger as one of the first round winners. This tiny bit of success encouraged me to work harder, and eventually achieve my dream. To honor the inspiration and spirit of benevolence behind the creation of this story, I am dedicating 5% of my earnings (royalties) on each sale of AFTERSHOCK to Rutger Hauer’s Starfish Association – a non-profit organization dedicated to raising global support and awareness of the HIV/Aids epidemic, with special focus on pregnant women and children.